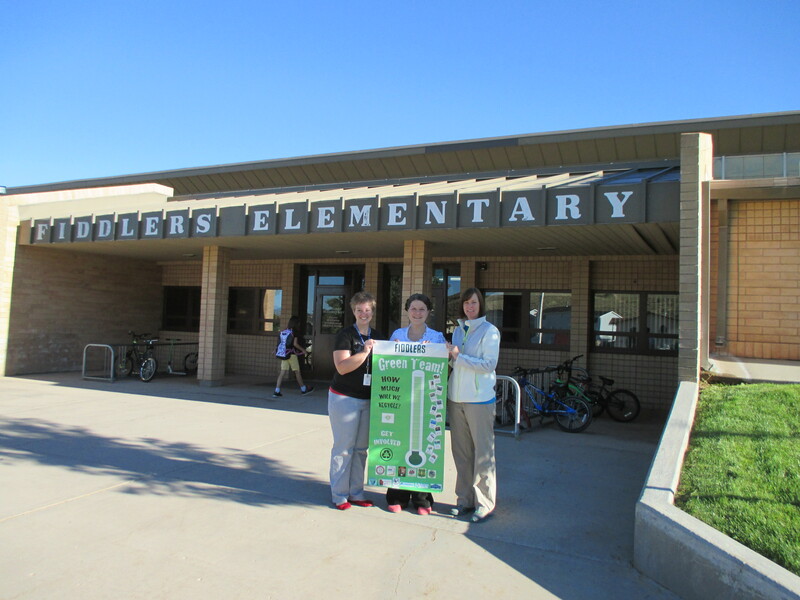 Fiddlers Elementary in Iron County – A Leader in Sustainability! The Green Team at Fiddlers Canyon Elementary is getting ready to kick-off its second year! Last year the Fiddlers Green Team began with what has become its annual yard sale. The students collected donations for the sale then set to work sorting all the items. This was an excellent way to introduce the idea of reusing items instead of sending them to the landfill. The money raised from the sale was then used to purchase materials needed for other Green Team activities throughout the year. Some of the topics that were covered last year included; what the phrase “reduce, reuse, recycle and compost” means and what types of things we can do that apply to each of those actions, energy conservation, water conservation and pollution, the importance of using native plants in gardens, and the National Park Service. Activities related to our Green Team topics included; participating in the recycling Olympics, listening to a presentation by Hunter Shaheen, the Iron Co. School District energy specialist, becoming water “leak detectives”, conducting an experiment simulating the effects of water pollution on plants, planting a garden, promoting Earth Day and Arbor Day in the school and community, creating art and gifts out of recyclable materials, and listening to a presentation about the National Park Service from ranger Rendall Seely. 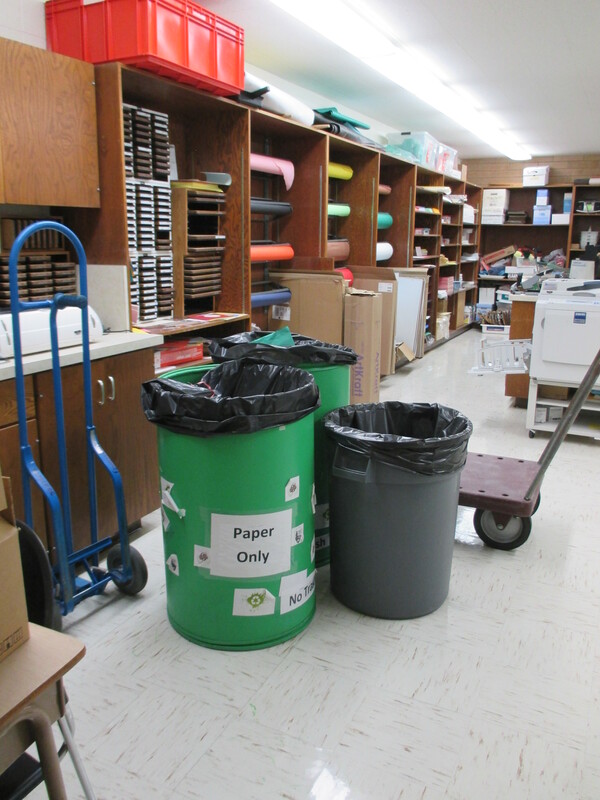 Fiddlers Canyon Elementary has been recycling paper for the last two years through the collaborative efforts of the Fiddlers Canyon staff and PTA along with the National Park Service, National Forest Service, SUU and the Southern Utah Recycling Coalition. This year the Green Team has plans to promote more recycling throughout the school by sponsoring a week of recycling awareness that will include prizes for students and classes that participate. We will also be repurposing recyclable materials in creative and artistic ways. We are sure to get our hands dirty this year too. With the planting of the garden last year, we will undoubtedly need to weed this year. We are looking forward to another great year with our Green Team as we continue to learn how to be responsible stewards of our planet. Fiddlers Green Team Mission: To educate students and provide hands on learning experiences that will promote environmentally responsible behaviors. ← Schools are back in session and Green Teams are being initiated!